Kettle Collective, winner of The Queen’s Award for Enterprise in International Trade 2016, for outstanding success in international trade, is a great example of using ARCHICAD, the leading Building Information Modeling (BIM) software for the architecture and design industry. Founded only 3 years’ ago in Edinburgh by Tony Kettle and Colin Bone, the practice today has studios in Edinburgh and Dubai, along with has local partners in Moscow, St Petersburg, Oman, Saudi Arabia and Beirut. As architects, interior designers and urban planners, the work of the Kettle Collective features many awards and accolades. They designed Europe’s tallest tower and won the ARCHICAD project of the year in 2015 for The Ripple Retreat, which also gained the Royal Scottish Academy Open Exhibition Staff Selection Award for Architecture. Kettle Collective took a trip up to the Ripple Retreat site in December 2016 to try out their new drone for the first time. It is fantastic to see the beautiful structure of the Ripple Retreat which is captured in this video. Their website showcases all aspects of their work, from the realistic 3D photos of the interior and exterior designs at planning stage, right through to the finished buildings. Their offices are awash with models of their designs, many of which are created on their own 3D printer. And design great buildings is what the Kettle Collective does best. Their project list is a testament to the clever and the creative. Designing buildings that work with the local environment and ensuring the designs are sustainable and harness local resources. 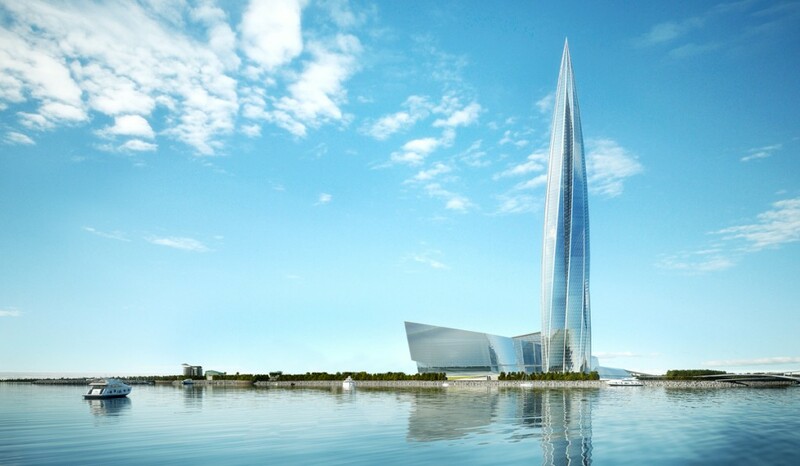 The Lakhta Tower designed for GazProm, located in St Petersburg, is a cleverly constructed tower that minimised heat loss and maximises daylight. The Piers in Muscat, Oman afford amazing views into the marina and out to sea with the individual pools appearing to float across the seascape. The Solar Innovation Centre in Dubai is a great example of sustainable development which incorporates green design by incorporating solar powered technology, smart management and recycling systems. Using ARCHICAD enables the Kettle Collective to design and develop models to see if they work, before the building’s foundations are laid. This ensures the usual construction issues which occur on site are less likely to occur as they are resolved at design stage. And with photo-realistic rendering, the clients better understand the concepts from project initiation, rather than waiting to see the finished design.